ACCRA — Everyday when I wake up, I give a little salute to the wind, the air, the sun, the earth. I am reminded I live in a free country, where ordinary citizens are not taken advantage of by the state. I give thanks because when I read the global news and hear of atrocities committed around the world, I know that others do not have the joy of freedom that I so often take for granted. Recently, I read about how activists have taken to challenging the predatory prison phone rates that cripple the finances of ordinary Americans, many of African origin, who have loved ones locked up in prisons and jails. With its comprehensive reform, the U.S. Federal Communications Commission claims to have restored order that ends predatory prison phone rates. Before the ruling, prison owners used to charge families up to 0.43 US dollars for each minute of phone talk. Meanwhile, the owners of jails charged up to 1 dollar for each minute. So for a family to speak to someone in jail for ten minutes, the minimum they would be charged for this call is 10 US dollars. Not to mention that most people in US jails should not be there in the first place. More than two-thirds of people in US prisons are non-violent offenders. They committed “crimes” that were not violent and they at no risk of being violent in society. Quite frankly, they are held in cages for absolutely no law enforcement reason, only as slaves to the super rich who use their labor and exploit their families for a profit. Yes, all this money is stolen just so the rich can become richer, and the poor poorer. It is not enough to have money, it is a zero sum game where the object is to take money from everyone, to leave the many with nothing and the few with everything. Now here comes the reform. The US prison and jail companies are now allowed to charge no more than 0.21 to 0.25 US dollars per minute. My first thought was that this was really progress, as the rates seemed to go down by half in prisons and cut to one-fourth of the previous amount in jails. But then it dawned upon me the irony of that progress. It currently costs as much as 0.21 dollars to call from the U.S. to Ghana (Of course using the Internet, one can call for free.) But in the U.S. people were being forced to pay the price of an over-priced overseas call just to keep in touch with members of their families who are in state, federal, and county facilities. For local calls, which should be dirt cheap, if not free, the Black, white, and brown citizens in the U.S. were being robbed a small fortune. And this is not all, families were charged 3.95 US dollars each time the call signal dropped and they needed to reconnect the call. Moreover, the prison and jail facilities themselves would reap up to ninety-four percent of the cost that families paid for calling! All this exploitation to rob families and to grease the slimy pockets of the ever-greedy global rich. 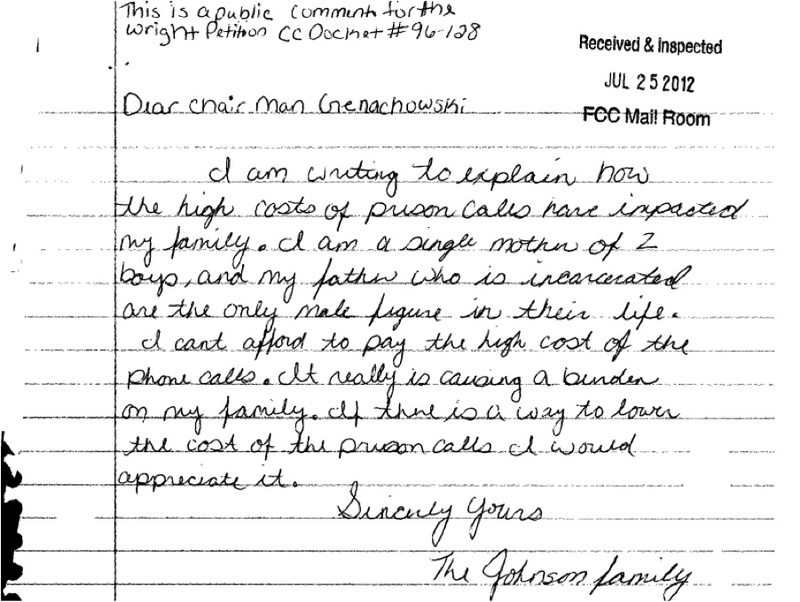 A letter from a single mother who cannot afford the rising costs for her children to talk to their father who is incarcerated for absolutely no law enforcement reason. Mind you, this is only the part of prison and jail exploitation that emerges from phone billing. There are loads of other ways these corporations make money off of people’s labor–why many call mass incarceration neo-slavery. This money is what people speak of when they say Hillary Clinton and other crooked politicians take money from private prison corporations. It is the money that poor Black children pay to call their fathers and mothers that the Clintons and others use to form foundations to engender further inequality, oppression and turmoil. This is the money that corrupt Africans store in off-shore accounts. It is the money that buys them million dollar apartments with nice views in foreign cities. Learning that these horrible policies were in place in the U.S. and that the US still exploits its people as I write, make me ever vigilant about when any government suggests it needs to make changes in the best interest of the people. I cannot imagine the rights and freedoms of Ghanaians manipulated and castrated in this way. It makes me sick to think of the possibility. This makes me worried when I hear governments speak of privatization of anything. Our banks, our hospitals, our schools, all our critical centers for health, education, and prosperity should belong to the public and be held accountable by public means of transparency and governance, so as not to be manipulated by individual and corporate greed. The next time I make a phone call, I will think about all the people for whom such a simple task is a choice between dialing the number and affording a meal. Where is the glory of the technological advancement of the twenty-first century if people are being charged more to use a telephone than decades earlier? Or is technology only a tool used to further exploit and not enrich. It is ever appalling how people’s freedoms are stripped in any and every way. I cannot speak enough about the need for public facilities that protect the rights and freedoms of individual citizens. Let this be a reminder that private companies as well as governments hijacked by private individuals rarely, with time, keep the needs of their citizens at heart. The next time I make a phone call, I will give many thanks for my taken-for-granted freedoms, understanding all too well that I have to fight to preserve what freedoms I have left. Next articleAfrican Men Don’t Print Their Own Money, Don’t Make Their Own Guns – What Freedom? What is the solution for a nonfunctional government when, say, it comes to providing basic services to the electorate? Look at Flint, Michigan, in the US and how government has succeeded in poisoning and continuing to poison citizens without consequence? To privatise the water companies, the gas companies, the electricity companies, the phone companies, the internet companies, and all that? Or to make government accountable? This is the central question that plaques those who believe in Capitalism and those who believe that Socialism is the right path. And you? It’s amazing how the prison industrial complex in America is truly just a plantation providing the cheap labor to power America’s so-called first class economy. When the history books close on that country, it will be the most corrupt, most depraved and the most barbaric nation the world has ever known. Nafetiti do you know where my problem stem from, when all this issues are mounted, we think the private business person or possible the capitalist is the cause. That is where the mistakes are born. Hehe, the land of the free indeed. What a misnomer. 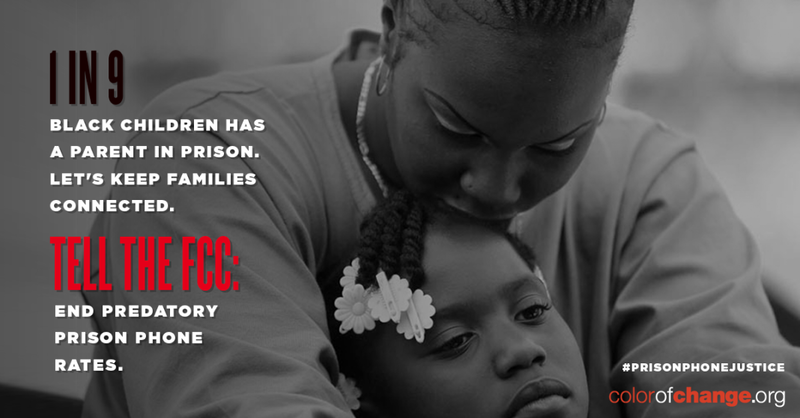 The NAACP called the crime bill “a crime against the American people.” The Congressional Black Caucus supported an alternative bill that provided alternatives to incarceration, drug treatment and major investment and assistance for young people trapped in ghettoized communities. That approach was rejected. Some black politicians agreed to support the 1994 crime bill anyway, believing that the kind of investment and assistance that was desperately needed would eventually come. It didn’t. Instead, we got militarized police, prisons, and the dismantling of welfare for the poorest and most vulnerable among us, plunging more than a million more kids into severe poverty. We got a system of mass incarceration unparalleled in world history.